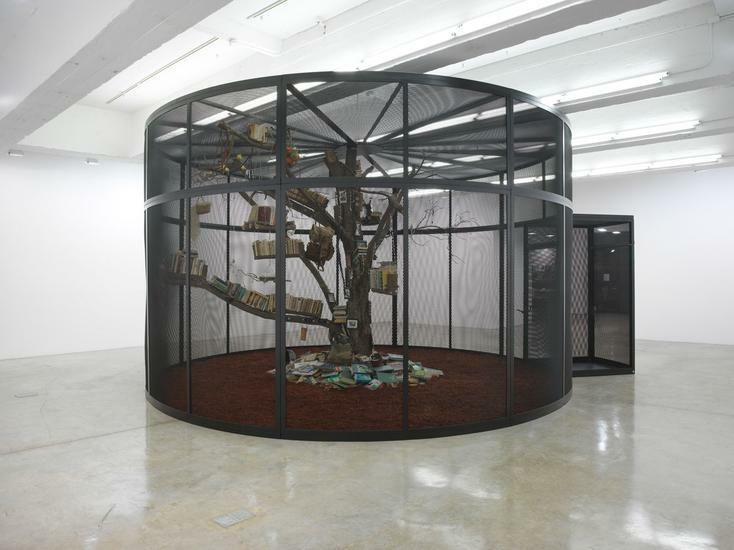 Tanya Bonakdar Gallery is pleased to present "The Library for the Birds of New York and Other Marvels," a new exhibition by Mark Dion. 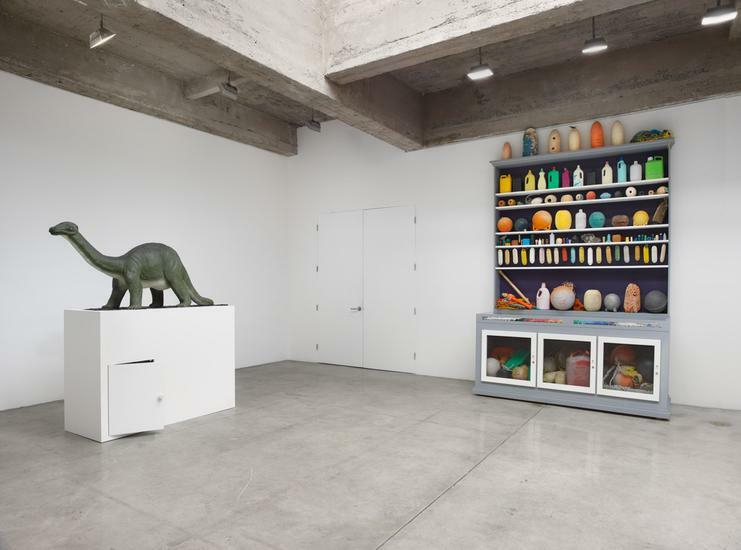 Since the mid 1980s, Mark Dion has created sculptures and installations that serve as critiques of institutional power structures, questioning notions of the representation of nature, display, codification, and collecting. 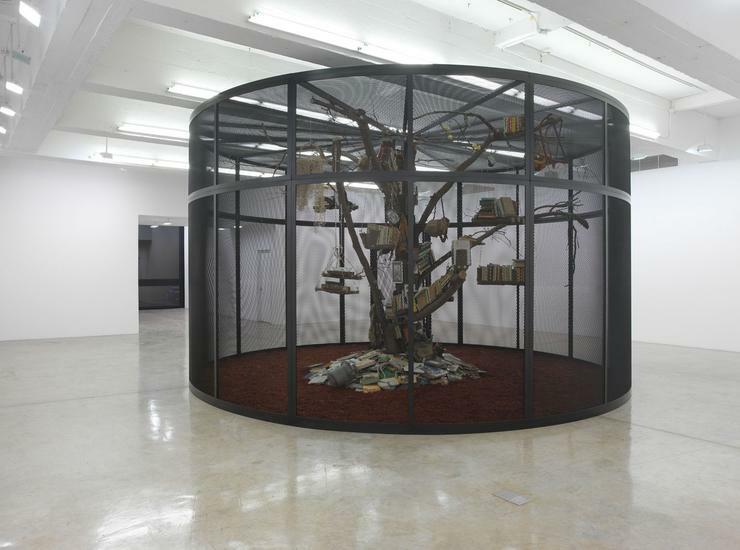 For decades, his practice has addressed issues and strategies that are central to much art being produced today. A longtime environmentalist, his work acknowledges the repercussions of the human impulse to dominate nature. Dion conducts extensive research in the history of science. 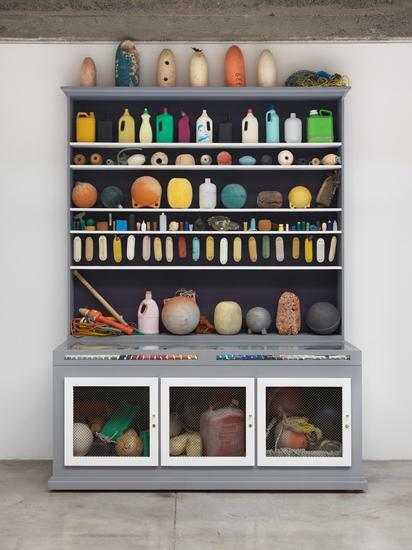 His appropriation of institutional methods of gathering, ordering, and exhibiting objects has resulted in his distinctive material vocabulary. 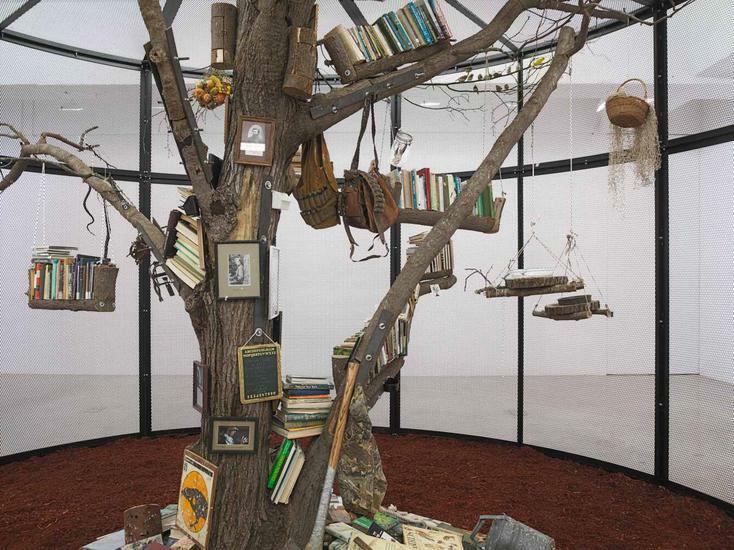 In the downstairs gallery, Dion invites viewers to experience the large-scale immersive installation, " The Library for the Birds of New York," in which 22 live birds cohabitate with books, ephemera, images and objects related to birds from popular, art historical, scientific, and film sources. 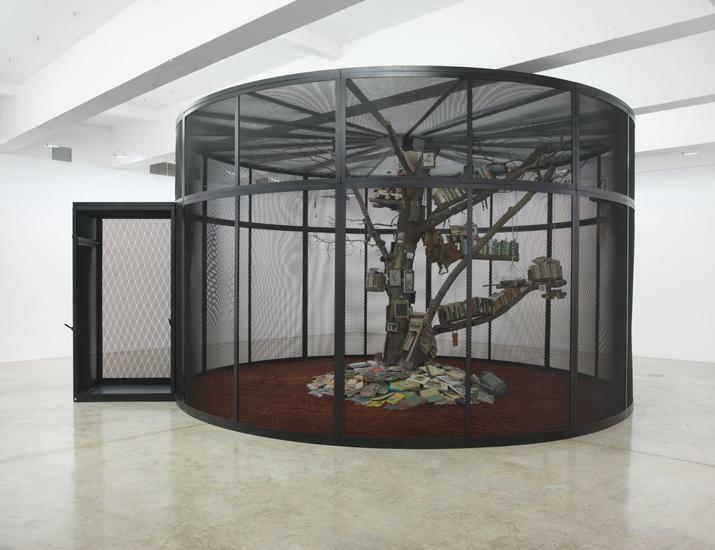 Central to the installation is an 11 foot high white oak, referencing a range of important philosophical and scientific constructs: the tree of life, the tree of knowledge, and the evolutionary tree, which serves to illuminate the phylogenic system created by man to understand the structure of the biological world. 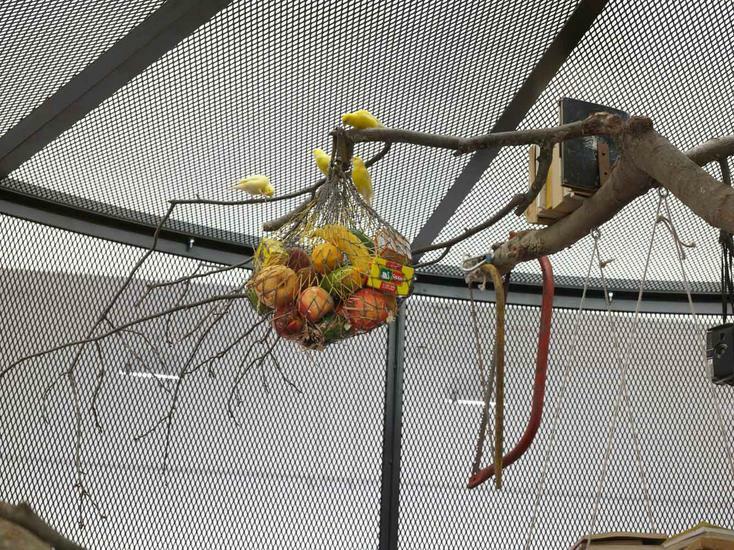 "The Library for the Birds of New York" also includes artifacts of capture such as bird cages and traps, referencing hunting for the exotic bird trade. 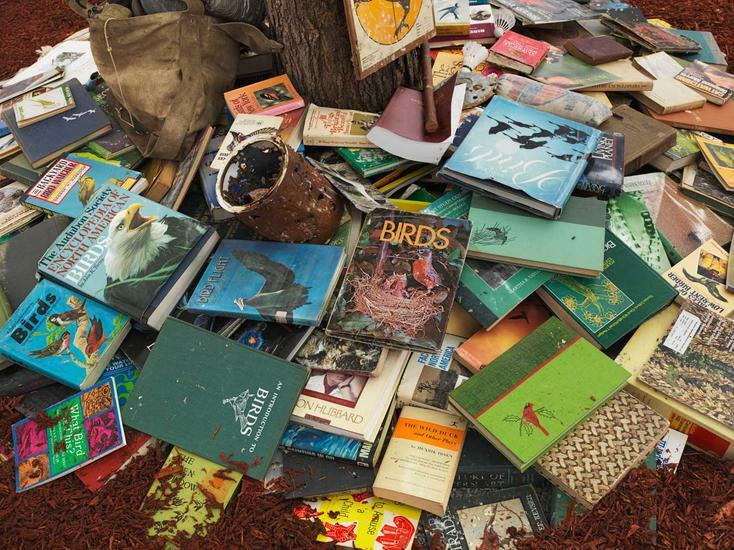 Other imagery is symbolic of death, extinction, and the classification of birds as pests or vermin. These historical categorizations position man atop an implied hierarchy, and are juxtaposed with a subtle insistence that birds possess knowledge outside of the human experience, rendering them fundamentally unknowable by man. 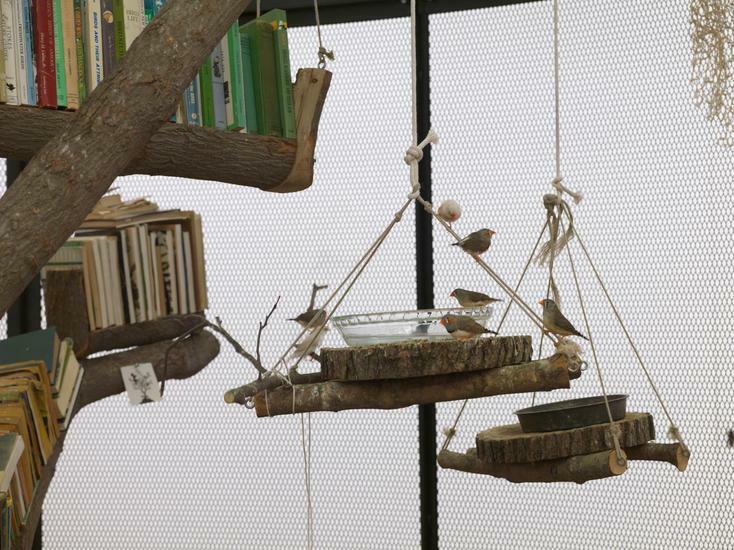 The birds are uninterested in these objects; thus underscoring the absurdity of a manmade library for birds, which purports to school them in subjects such as geography, navigation, and the natural world, of which they inherently have full command. 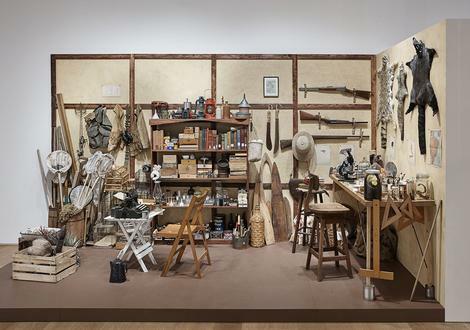 Upstairs, a group of cabinets and sculptures containing found and artist-made cultural objects highlight Dion’s engagement with systems of presentation and display, collecting, and the ordering of knowledge. 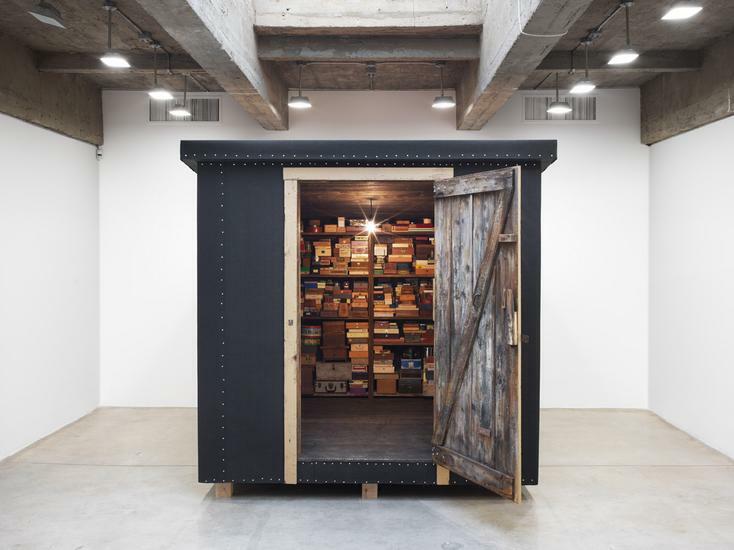 Works include "Memory Box," a shed housing hundreds of natural and found objects, which elicit memories and associations. 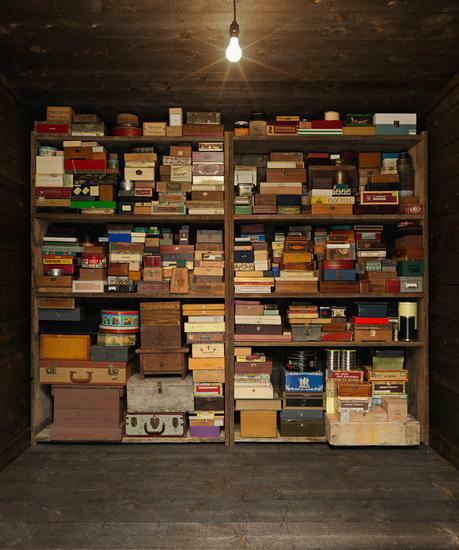 Like a life-sized Cornell box, Dion’s "Memory Box" welcomes viewers to inspect the contents of shelves and drawers for an intimate experience with objects not traditionally accessible to museum and gallery visitors. 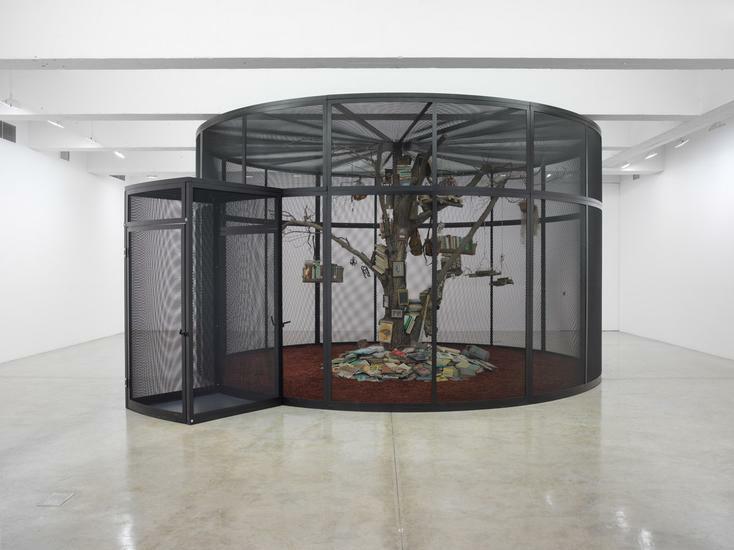 Encountering the contents of the installation may trigger involuntary memories in the mind of the viewer, much like Marcel Proust's transportive encounter with the madeleine cake. 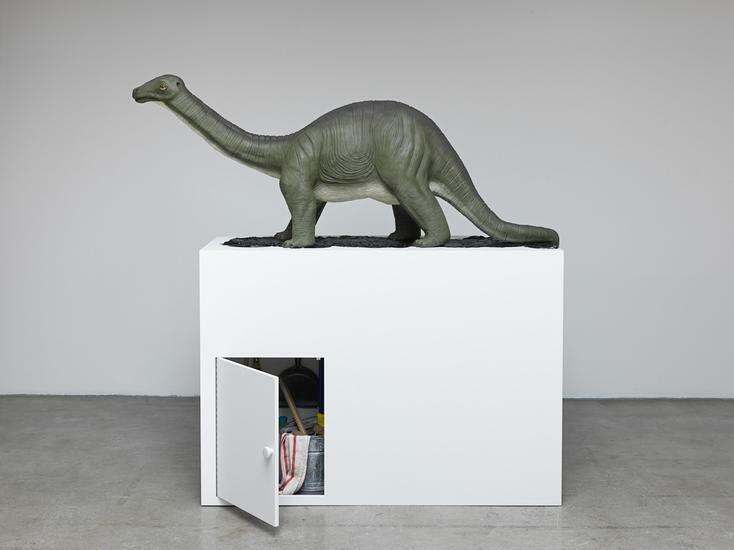 Nearby, "Brontosaurus" contrasts the American obsession with pop culture images of dinosaurs with references to the big oil companies, the environmental damage caused by oil and petroleum and the clean up it requires. 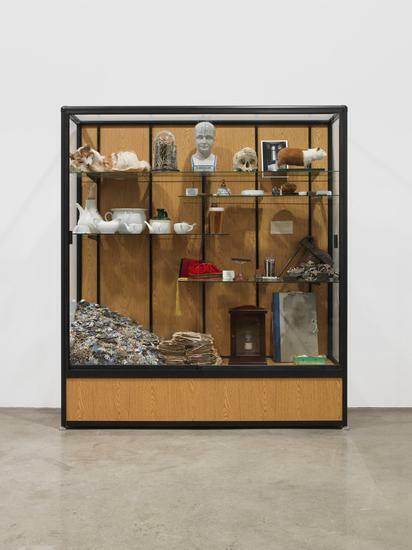 The surrealistic industrial “trophy” case, “An Archaeology of Disorder,” displays emblems of and allusions to psychiatric afflictions, which are rooted in the unconscious, the uncanny and ideas of disorder. 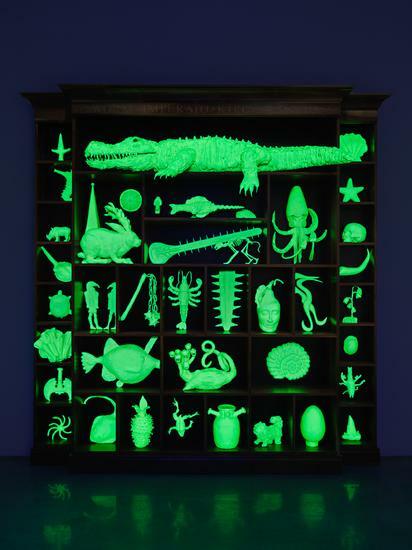 Dion’s "Cabinet of Marine Debris" is comprised of plastic debris harvested while on an expedition to the North Pacific Gyre off the Alaskan coastline, and "Phantom Museum," is a glow-in-the-dark cabinet of objects based on illustrations of 16th and 17th century cabinets of curiosities. Through his formal and symbolic language, Dion offers the viewer an opportunity to engage with cultural objects and the natural world in ways that are both challenging and transformative. Born in Massachusetts in 1961, Dion currently lives in New York City. His work has been the subject of numerous exhibitions worldwide. 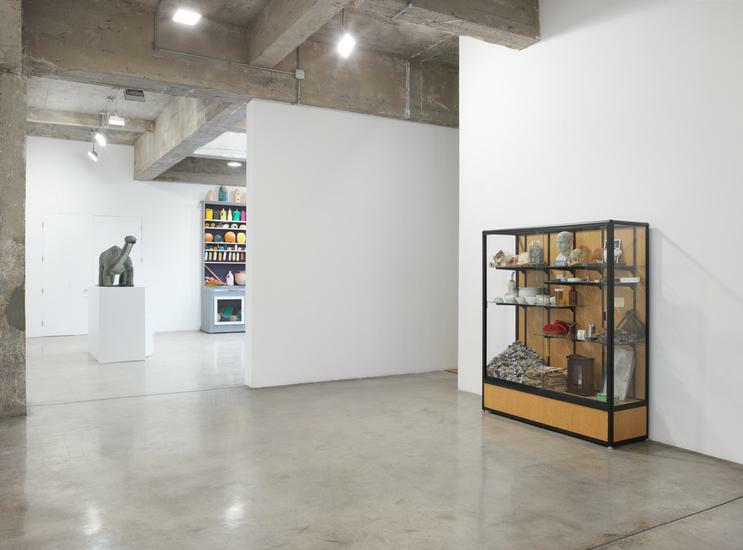 Notable solo projects have been presented at Massachusetts Museum of Contemporary Art, North Adams, MA; Museum of Modern Art, New York; Public Art Fund, Madison Square Park, New York; Tate, London; Wexner Center for the Arts, Columbus; among others. 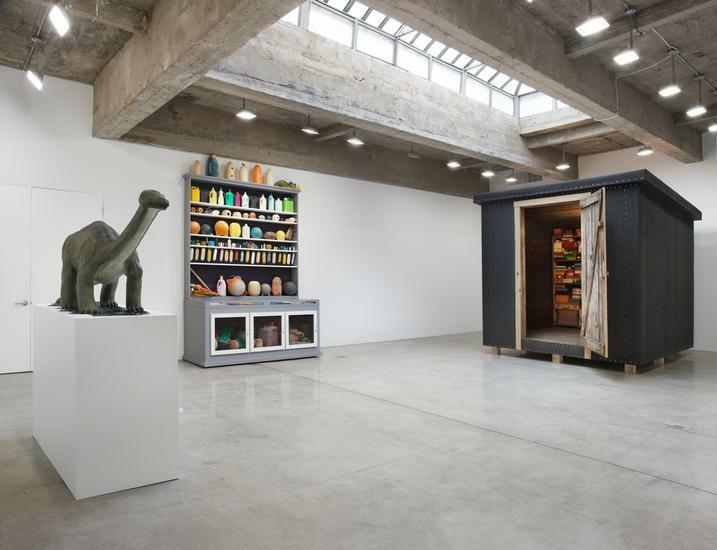 Forthcoming exhibitions include a retrospective of Mark Dion's work at The Institute of Contemporary Art Boston (2017) and a major solo exhibition at Whitechapel Gallery, London (2018). 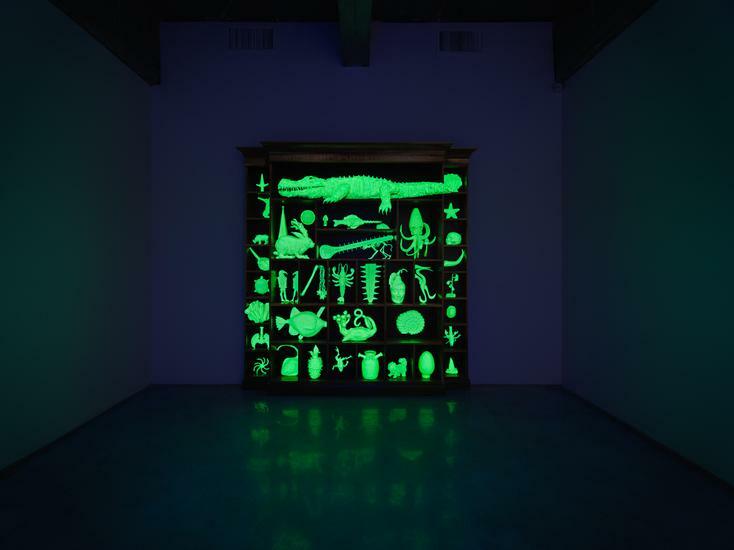 Mark Dion is currently the Ruffin Distinguished Fellow of the University of Virginia.